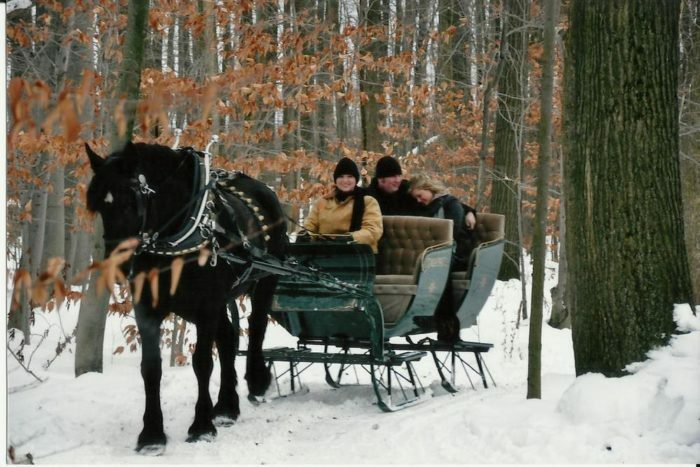 Have you ever dreamed of taking a ride on a one-horse open sleigh through a winter wonderland? 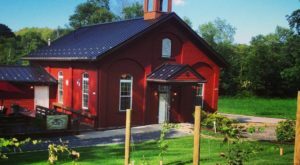 Here in Ohio, there’s a little-known gift shop and maple farm where you can take an enchanting sleigh ride. 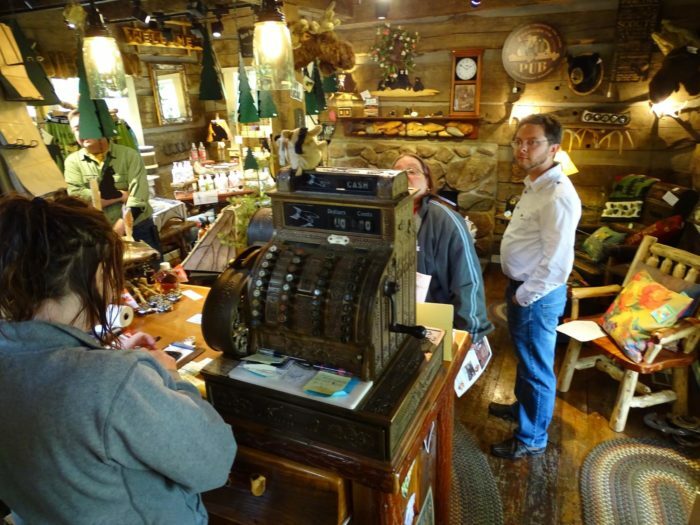 Ma & Pa’s Gift Shack in Burton, Ohio is a hidden gem to locals and visitors alike. It’s the perfect place to visit when you want to embrace the season and all its magic. 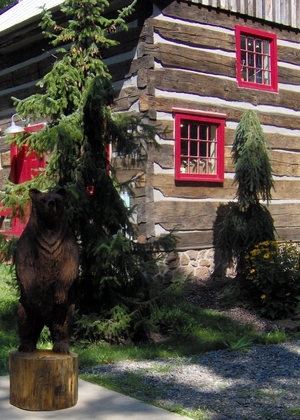 There's nothing quite like a trip to Ma & Pa's, a picturesque log cabin the woods featuring speciality gifts, handcrafted furniture and old-fashioned sleigh rides. 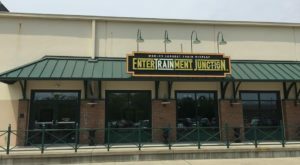 You'll find it at 15161 Main Market Rd., Burton, OH 44021. Inside the shop, you'll feel at home. It's the perfect place to find a one-of-a-kind gift for that special someone. 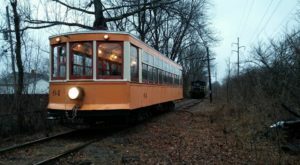 You can visit Ma & Pa's Gift Shack in September - December on Tuesday - Saturday from 10:30 a.m. - 4:30 p.m. and on Sundays from noon - 4 p.m.
You can take a journey through the wooded area on a two-horse open sleigh all winter long on Saturdays and Sundays. 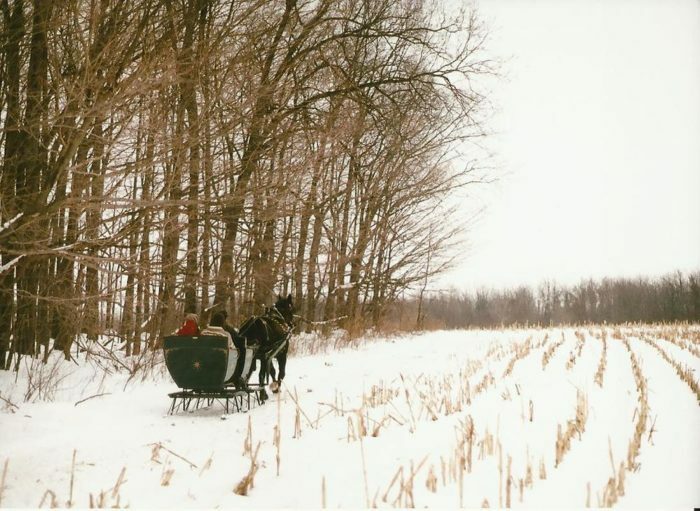 Please note: The shop hours, sleigh rides and maple tours are seasonal. 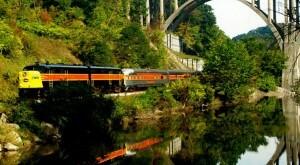 For more information about hours of operation, click here. Reservations for sleigh rides are required, so be sure to call ahead. All rides include a hot beverage and cookies. 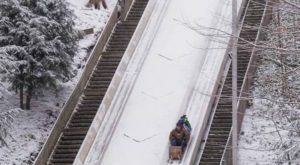 For sleigh ride rates and hours of operation, click here or call 440-548-5521. 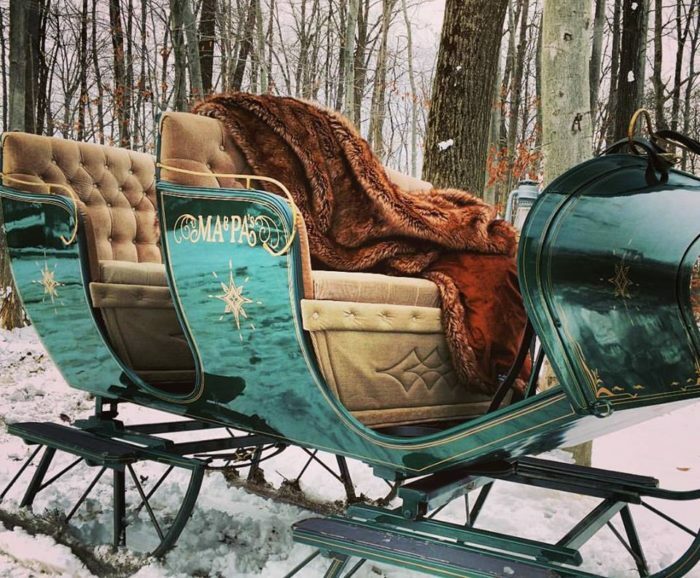 All sleigh rides are private and last approximately 30 minutes. 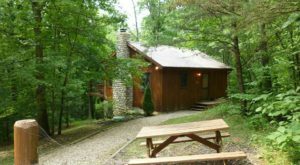 You'll ride through the woods, over the fields and back to the cabin for some hot chocolate (or maple coffee) and a warm fire. 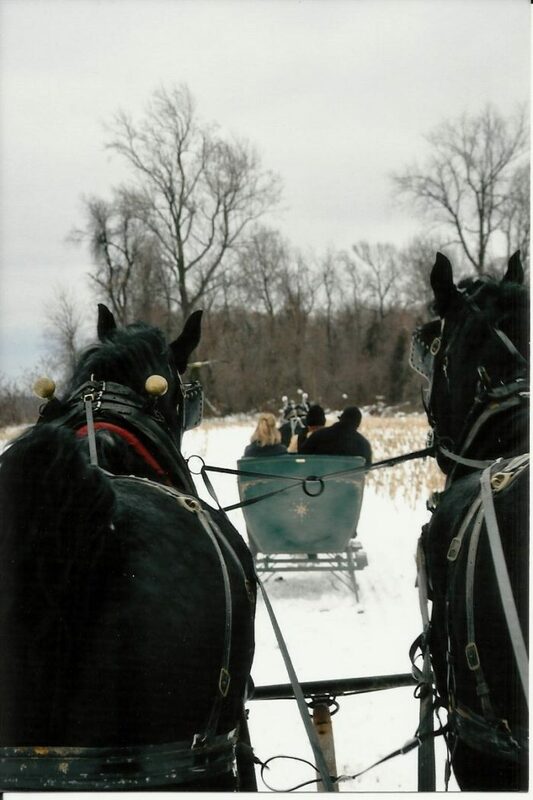 Note: If there isn't snow on the ground, carriage rides are available. 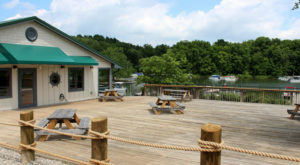 Ma & Pa’s Gift Shack is located at 15161 Main Market Rd., Burton, OH 44021. Have you ever been here before? If so, we want to know what your experience was like! 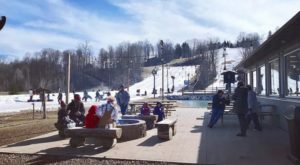 For more winter adventures in Ohio, check out our previous article: This Snow Tubing Adventure Is The Most Fun You’ll Have In Ohio All Winter.